The 2018 Chevrolet Silverado 1500 reaches new heights in performance. Check out these engine specs to see which truck is best for your jobsite. The Silverado base trim engine reaches 285 hp and 305 lb-ft of torque, as well as a towing capacity of 7,600 lbs. Upgrade to a V8 for more power and hauling ability. It produces 355 hp, 383 lb-ft of torque, and up to 11,110 lbs of towing. For max power, this upgraded V8 can't be beat. It puts out 420 hp and 460 lb-ft of torque while reaching 12,500 lbs of towing. The Silverado comes equipped with numerous features like Active Fuel Management and Continuously Variable Valve Timing to improve efficiency and power delivery. 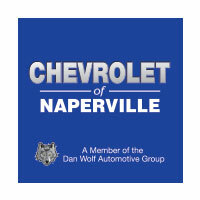 Compare the Chevrolet Silverado 1500 to the Ford F-150 before visiting Chevrolet of Naperville. We offer many vehicle specials that make our new offerings even more enticing. If you have any questions about Silverado performance specs or Silverado maintenance, contact us today!